Photographing time lapses has been extremely fun. You need to look for the right weather conditions and an interesting subject as you would for any landscape image. This time lapse video was captured with 300 images taken at 3 second intervals as the clouds were moving quite fast. 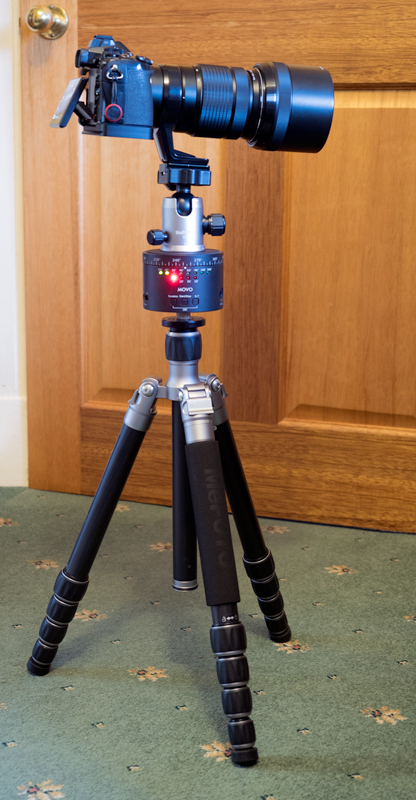 This gives 12 seconds of time lapse video running at 24fps which was taken in just over 25mins. I tend to leave the camera to complete the time lapse and go off with other camera and photograph some panoramas or wildlife if the opportunity presents itself as I can carry all this kit with me thanks to the MFT system. I use the Movo Photo MTP-10 Motorized Panaromic Time Lapse Tripod Head with Variable Speed, Time & Direction with Built-in Rechargeable Battery. This is what you need to start you out without spending a fortune to make those moving time lapse images. You mount your camera on top, set it to take time-lapse images and then set the movo to pan around slowly. The next step would be to use a time lapse slider but these are very expensive and is more to carry, would have to think very carefully about that but for now I am happy with the results I am getting with the Movo.